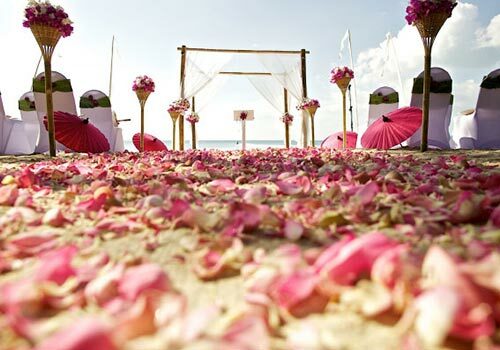 Benefits of Thailand beach weddings | Islands of Koh Samui and Phuket offer a bespoke wedding alternative. Koh Samui and Phuket are known globally as Thailand's most appealing tropical escapes. 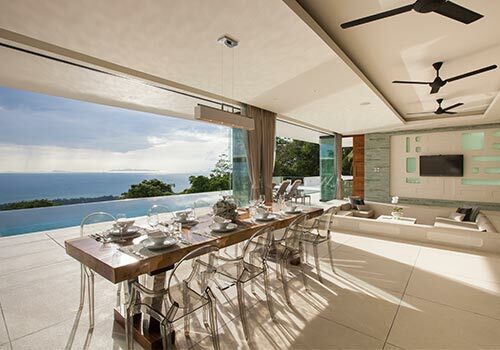 The islands are also famous for the range of personalised hospitality services on offer and the high quality accommodation options, including some of the best private villas in Southeast Asia. With a choice of excellent Thai and international restaurants, a sophisticated nightlife scene and plenty of opportunities for fun and adventure, the islands are the perfect choice for those looking to design a holiday that matches their taste, timescale and budget. Such freedom to choose, combined with a relaxed, personalised approach to service, means that Thailand is now far more than just a holiday spot. Couples from all over the world arrive in the Kingdom and travel to the country's famous beach and hillside locations, choosing the perfect location to say their vows. In addition to the range of high-end facilities on offer in Thailand, the country's legendary service culture is another reason why many couples choose the Kingdom as the perfect place for a destination wedding. In Thai culture, weddings are thought to be one of the most important ceremonies in person's life and this belief is reflected in the amount care and attention they show when attending to a wedding party. Exquisite decorations and extra touches make for a special day indeed, and this, combined with the stunning natural surroundings means many couples choose to stay well beyond their wedding day, extending the trip into a memorable holiday so that they can fully enjoy the various natural attractions and top class facilities on offer. Wedding packages in Thailand often start with planning and organisation while the couple are still in their home country. Professional staff are assigned to the couple and help with suggestions and recommendations, then make sure the event runs smoothly on the day. Agency staff can take care of everything from the travel arrangements to the reception, dinner, decoration and entertainment. This allows the happy couple and their guests to fully enjoy the day without having to worry about the finer details. Even at the top end of the price scale and including the cost of international travel, personalised weddings in Thailand are still an affordable choice, particularly when compared to similar events in most western countries. The quality of private villas on the Thai islands and the high standards of service offered by agencies like Signature Weddings make destination wedding packages an appealing and realistic option when considering the perfect way to celebrate one of life's most important decisions.